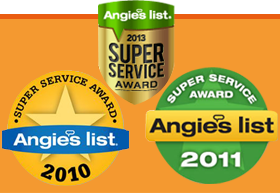 Call us today for a free evaluation and estimate! SafeSeal introduces Carbon Fiber / Kevlar technology in the structure of Carbon Fiber / Kevlar Grid Straps, the next step in everlasting foundation stabilization. The combination grid strap system is comprised of high tensile strength carbon fibers woven together by Kevlar strands. There’s no better way to do foundation repair in Chicago. Carbon Fiber / Kevlar Grid Straps are intended for stabilizing both poured concrete and cinder block walls. Due to the intense high strength to weight ratio, carbon fiber is the repair material of choice for bowed basement walls, bridge columns, and concrete beams to restore and preserve structural integrity. Carbon fiber is an established alternative to steel for reinforcing structural substrates in residential and commercial applications. Carbon fiber is vastly effective at adding tensile strength to concrete. It is superior to steel since it is stronger, lighter weight and non-corrosive. It also can be bonded to the surface of a concrete structure at any time to stop bowing and cracking. This allows boundless applications for new construction and repairs. Concrete crack repairs usual do not fail right away. It is the long-term fatigue of material injected in concrete cracks with the movement of the foundation that can fail over time. By cross-stitching concrete crack repair with staples this creep is stopped and improves the long term performance of the repair material. 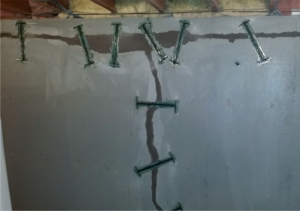 Countersunk Staples are the first commercially available concrete crack control stitching system designed to transfer load away from repair materials. Your home is probably your biggest investment. 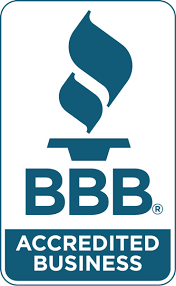 Help protect your home with Safe Seal’s foundation repair in Chicago. 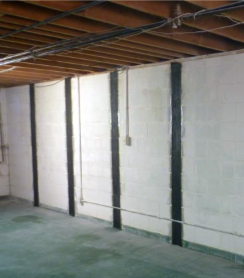 Bowed, cracked, or leaning basement walls are a sign that something is going very wrong with the structural integrity of your foundation. 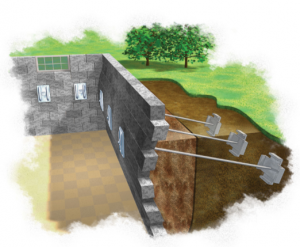 This happens when hydro-static pressure builds up against the walls or when the soil that surrounds the foundation expands and applies pressure that pushes the foundation wall inward. Solution? Wall Anchors: The system consists of an interior wall plate, an exterior soil anchor, and a connecting steel rod to stabilize foundation walls by counteracting pressure exerted against the wall. Low relative cost with long-term results. Older homes can experience a wide range of structural problems. Sill plates can rot out. Wooden beams can crack and sag. 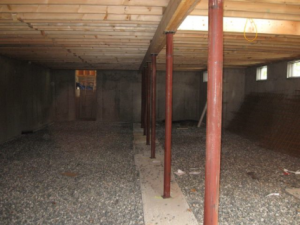 Columns and Footings can begin to fail. These and many other issues can be resolved. Older homes usually come with repairs that are sometimes overlooked. 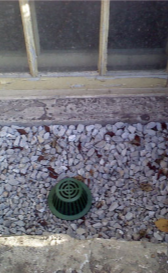 Leaky window wells or widow wells with out drains will need to be addressed. 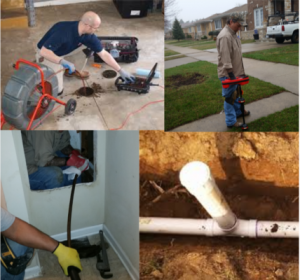 We offer a complete line of solutions that will solve the problem no matter how big or small. Remodeling or finishing your basement? If you are adding a bedroom too, you will be required by code to install an egress window in case of fire or other disaster.